...and a Happy New Year!" 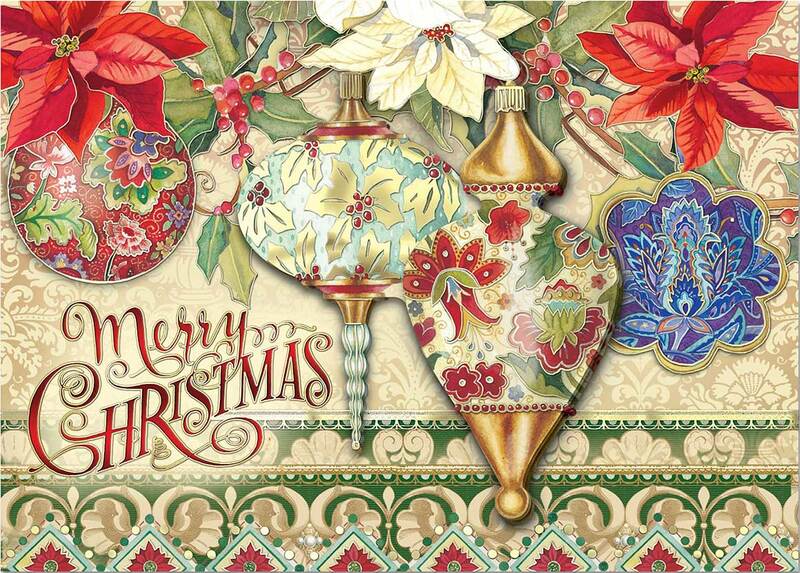 Elegant and unique, these holiday cards will brighten the cold winter of any who receive them! "Merry Christmas" is written upon the front of the card, amidst ornate Christmas ornaments. Poinsettia and holly accompany the decorations, and festive patterns fill the rest of the card, which shines with gold foil.